DAVID LE/Staff photo. 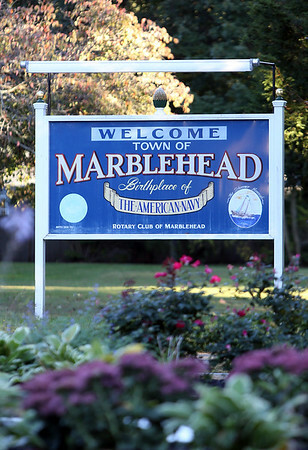 The welcome sign for the Town of Marblehead has "Birthplace of the American Navy" underneath the Town name. 10/6/15.